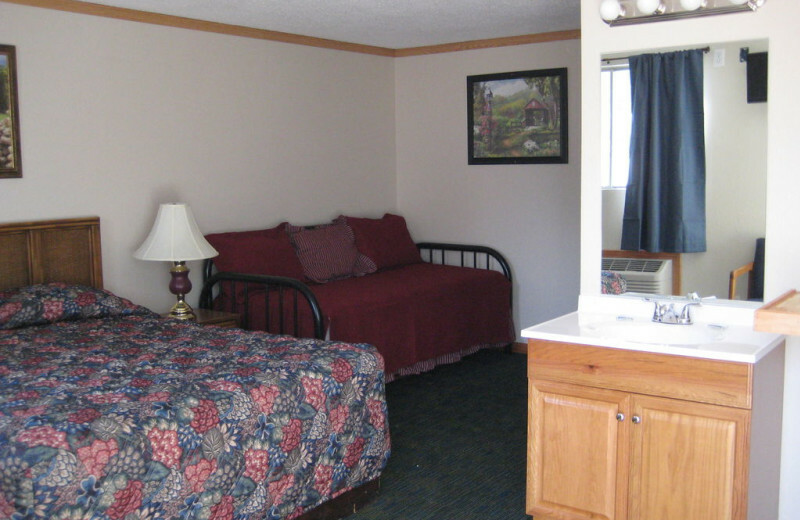 The Ultimate Relaxing & Exciting Missouri Getaway Awaits You at Alhonna! 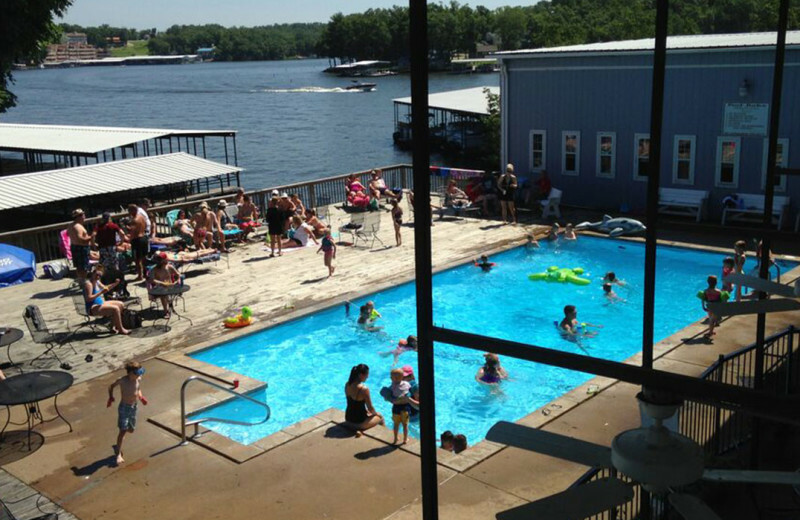 Located at the eight-mile marker on beautiful Lake of the Ozarks, Alhonna Resort is a family owned and operated resort with many amenities to make your getaway exceptional. 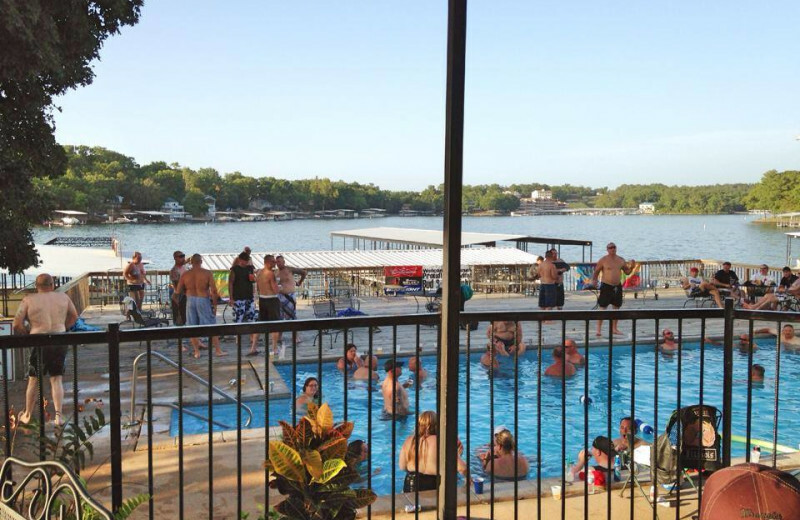 This fantastic resort specializes in catering to family reunions and adventurous groups looking for a great Missouri getaway. 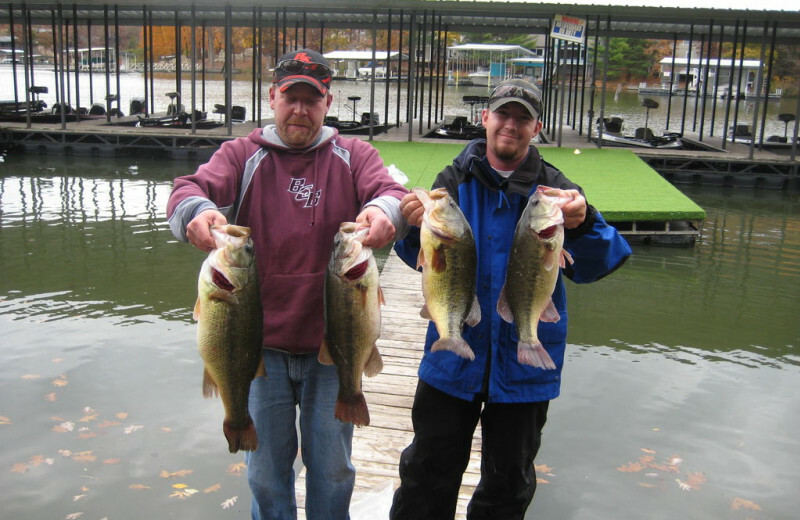 Join in any of the many seasonal tournaments like the "open buddy bass tournament" or The Fall Classic October anger challenge. 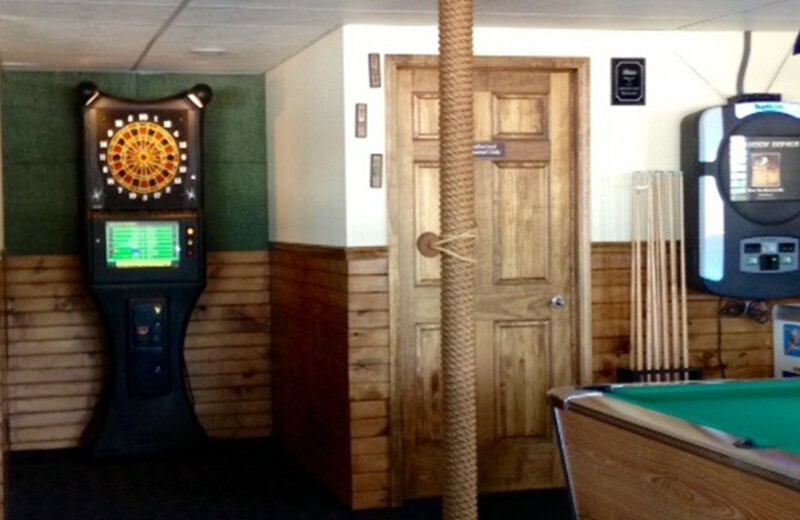 Alhonna also caters to individuals and families seeking to create those lasting memories of picture-book-worthy fun. Alhonna Resort offers 60 lakefront and lakeview units that range from one-room motels to deluxe four-bedroom condominiums and cottages. You're just steps away from the lake, where you can indulge in daily fishing and water sports or head out nearby for golfing, shopping, and much more! 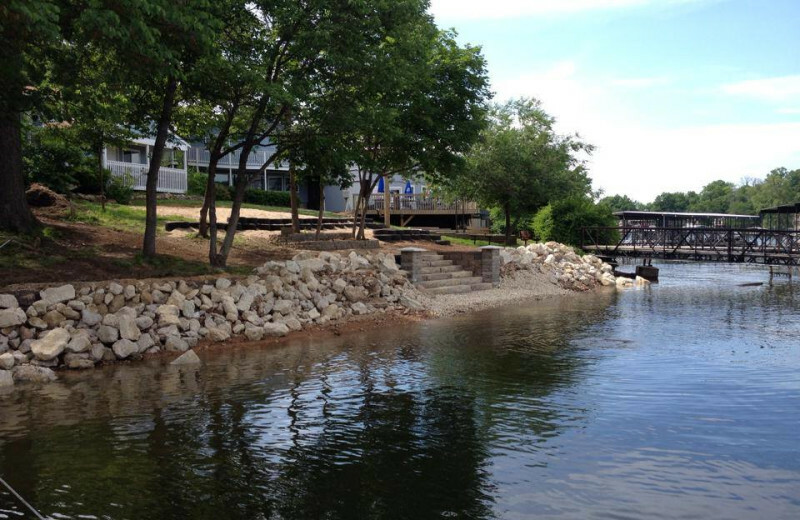 Alhonna Resort features a new onsite beach located alongside the beautiful Lake of the Ozarks. Their sandy beach area offers a gradually sloped swimming area which makes it safe for everyone to unwind and splash around. 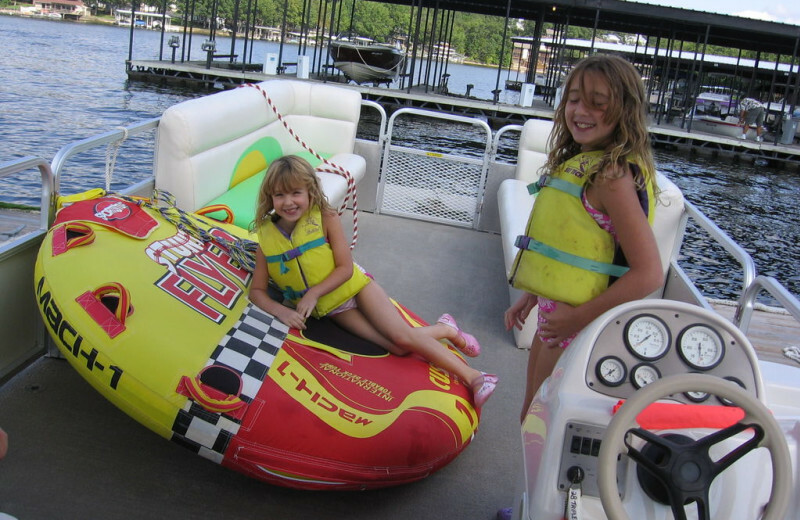 Whether you're just soaking the sun up from the shores, building a sandcastle with the kids, or exploring the waters on a boat ride, you're sure to enjoy plenty of exciting lakeside fun! Families fall in love with Alhonna Resort! 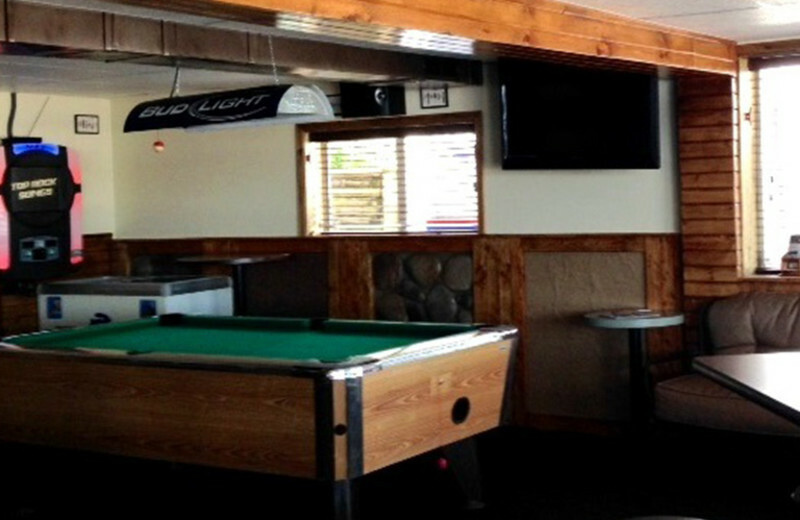 Splash around in their three pools, rent a boat for great fishing or watersports or enjoy Bobber's Restaurant & Lounge plus a large game room. 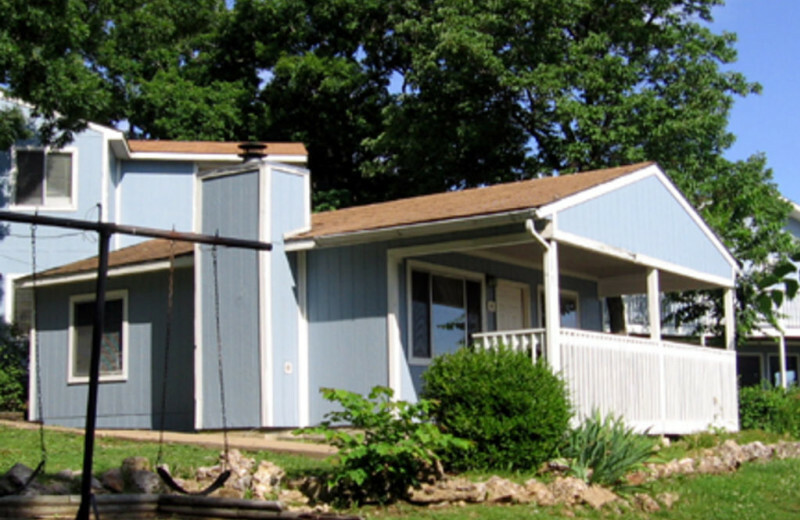 Alhonna is also located just a short drive from area shopping and attractions, making it the perfect place for your Missouri getaway! 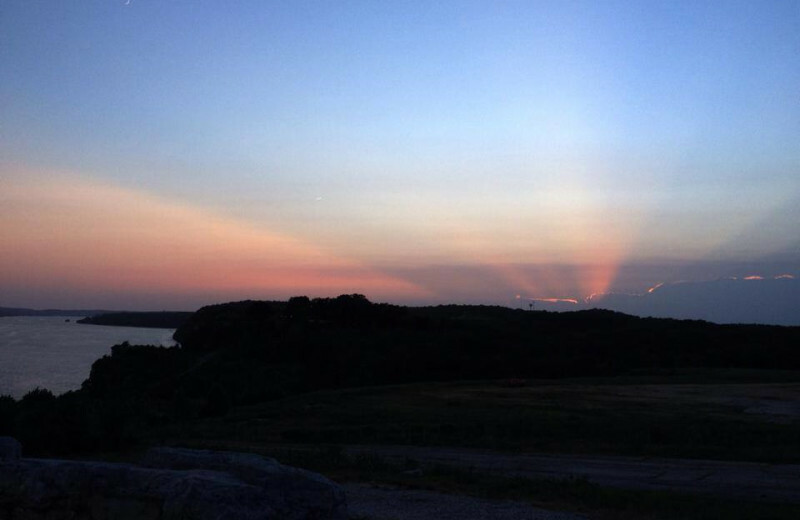 Discover why Lake of the Ozarks is the Midwest's premier golf destination! 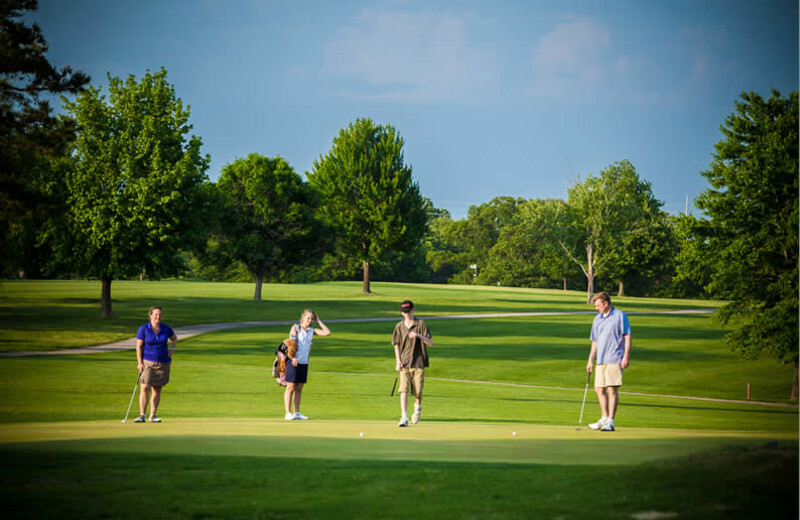 Sixteen professionally designed courses offer magnificent views from courses carved from rock bluffs and forests and set on the shores of the glistening glory of laid-back vacation haven, Lake of the Ozarks. Make Alhonna Resort the central hub to your golf vacation today! 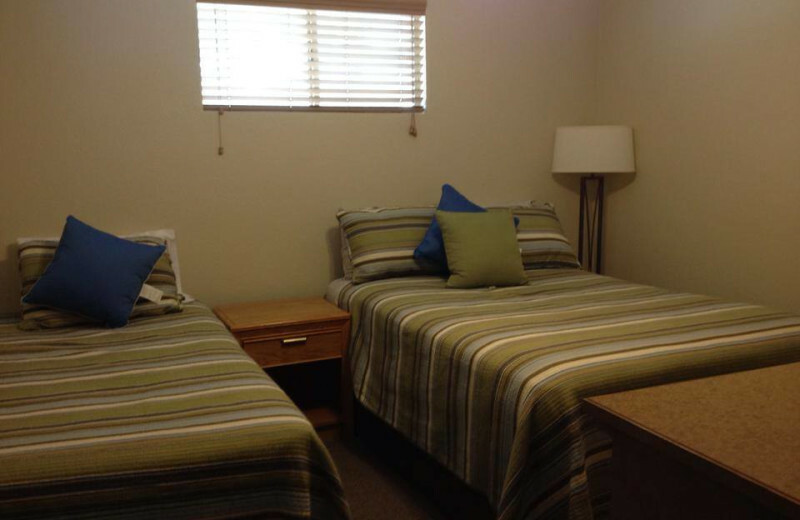 With four-bedroom cottages as well as standard and deluxe units, Alhonna Resort gives you all the space you need for your next corporate retreat. Accommodations for groups of 10 to 110 are available. 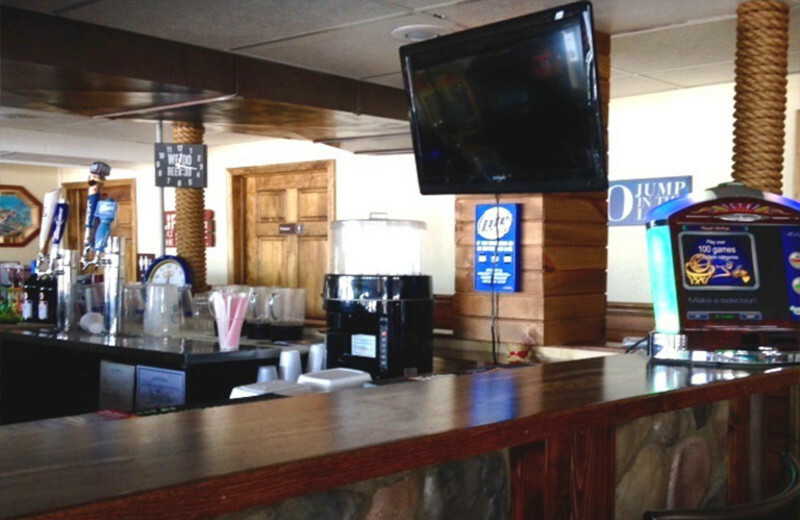 Alhonna can provide a business friendly atmosphere in the Lake of the Ozarks. 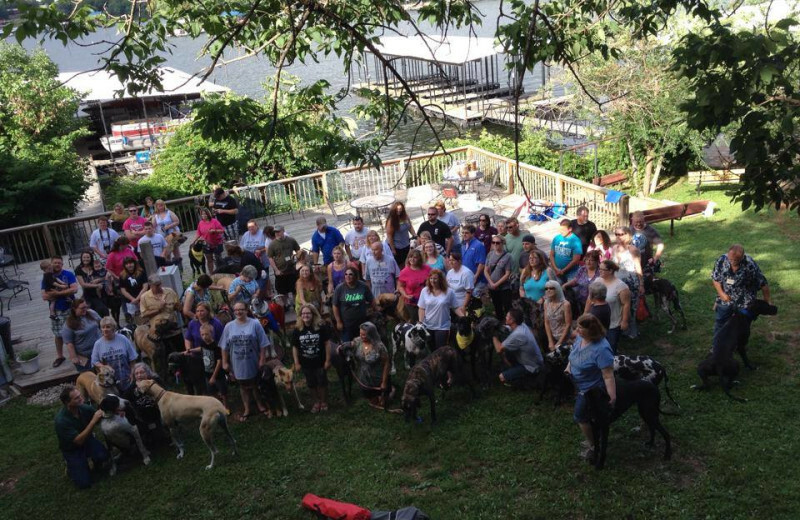 Let them help you plan your next retreat today! 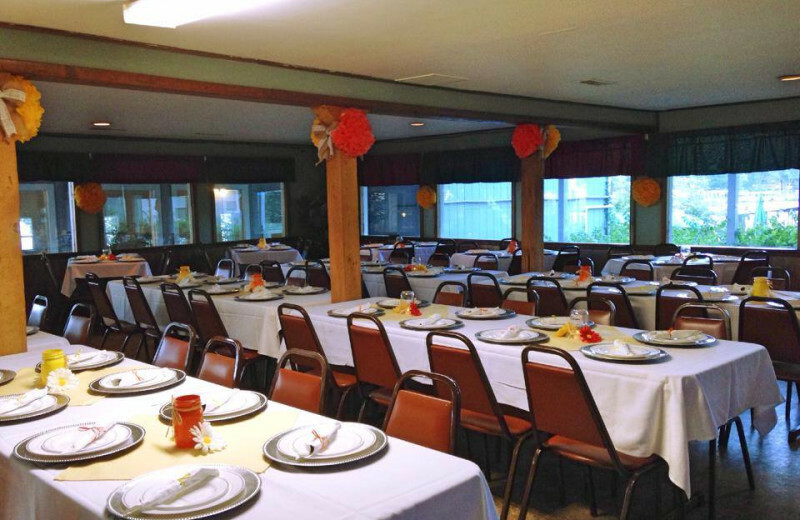 With amenities and accommodations to suit all tastes and budgets, Alhonna Resort is the perfect location for your next family reunion. 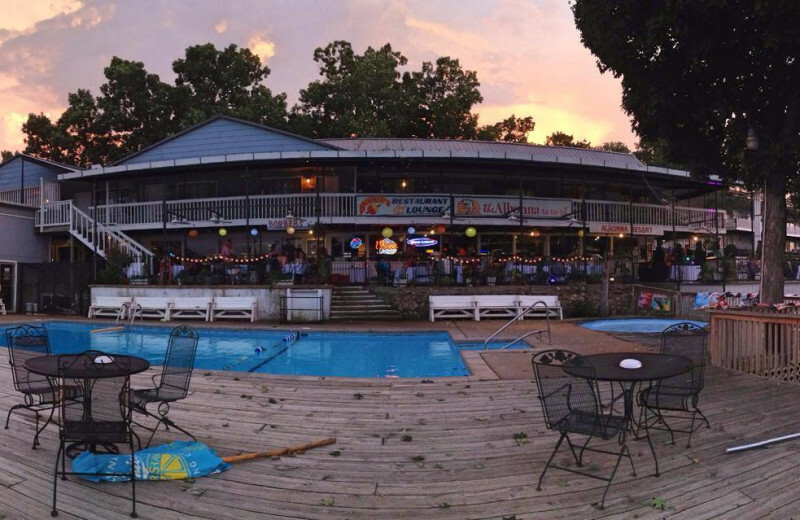 Allow the expert staff to take care of everything your family might need during your next Lake of the Ozarks reunion! Enjoy a day around the pool. 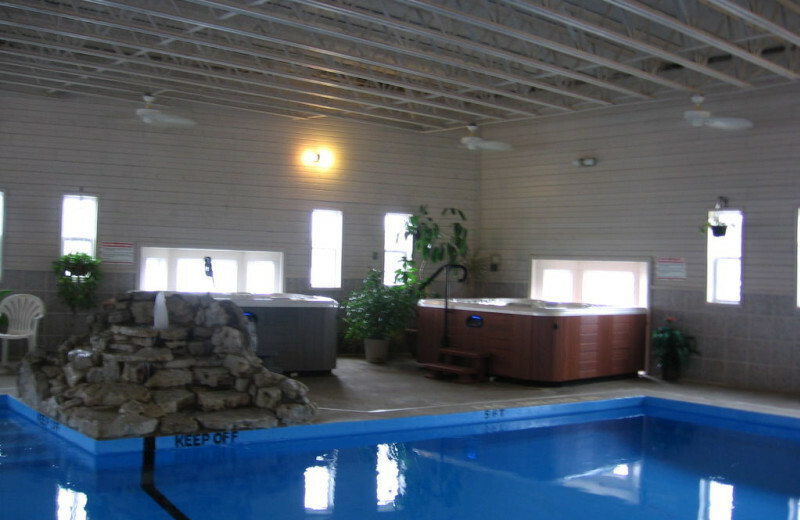 With an indoor and outdoor pool, as well as a wading pool and two eight-person hot tubs, everyone can join in the fun! Or, you can rent a boat from the marina, and enjoy a day on the water. 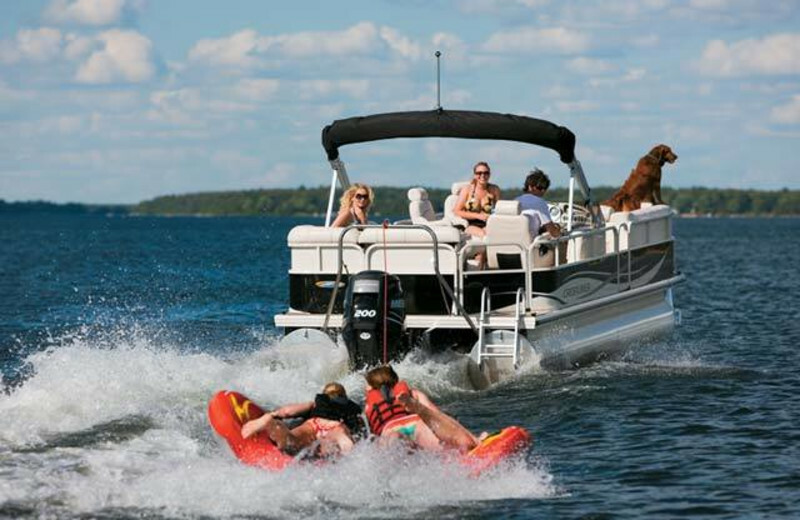 Fishing, swimming and tubing have never been so accessible. Enjoy the relaxing and comforting presence of nature at Alhonna Resort. 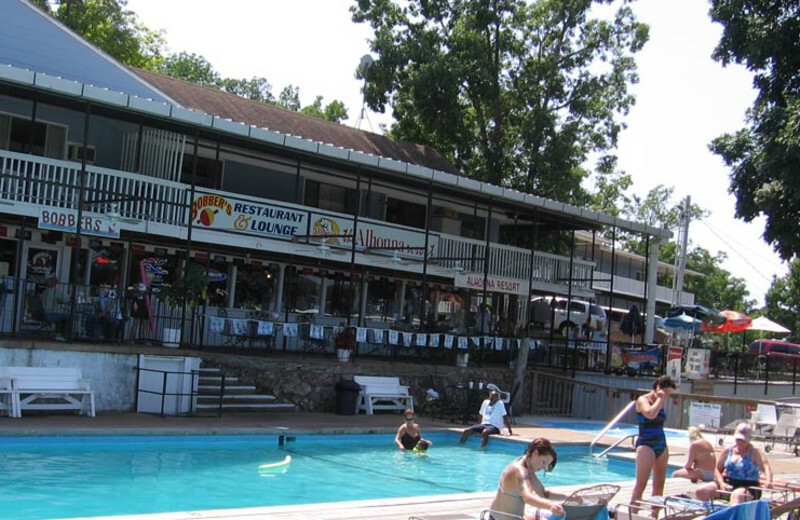 Here, you can immerse yourself in the Lake of the Ozarks fishing, swimming, or waterskiing. 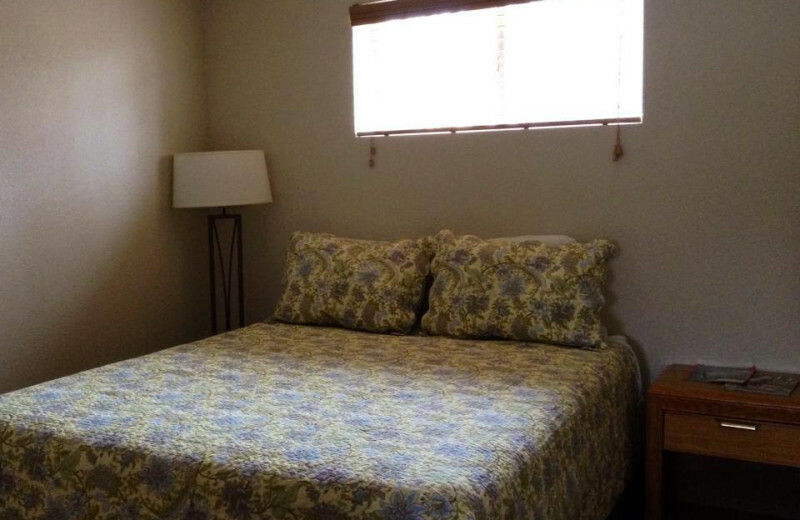 Nearby, you can enjoy a simple day of strolling and window shopping, or head out for great golfing. 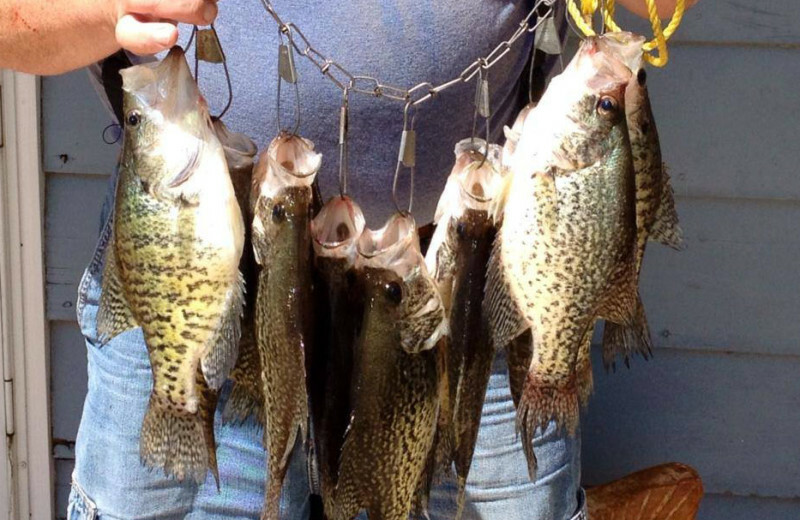 Let the outdoors inspire you on your next Missouri vacation! 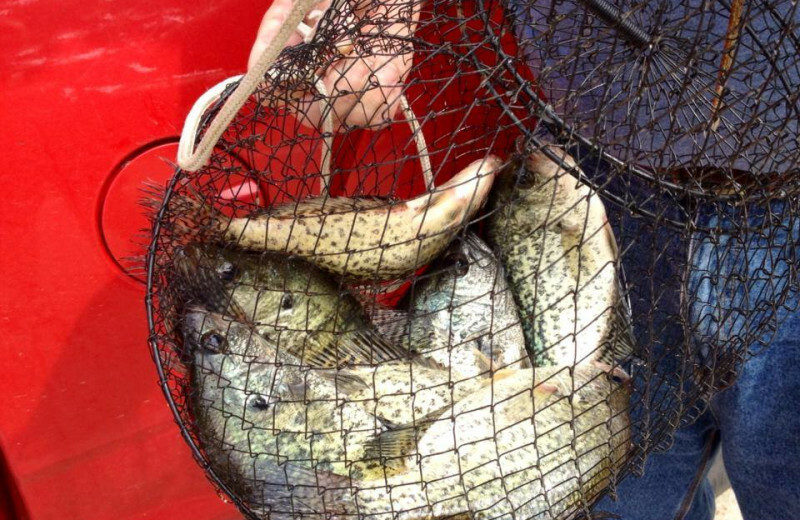 Lake of the Ozarks is teeming with fish! 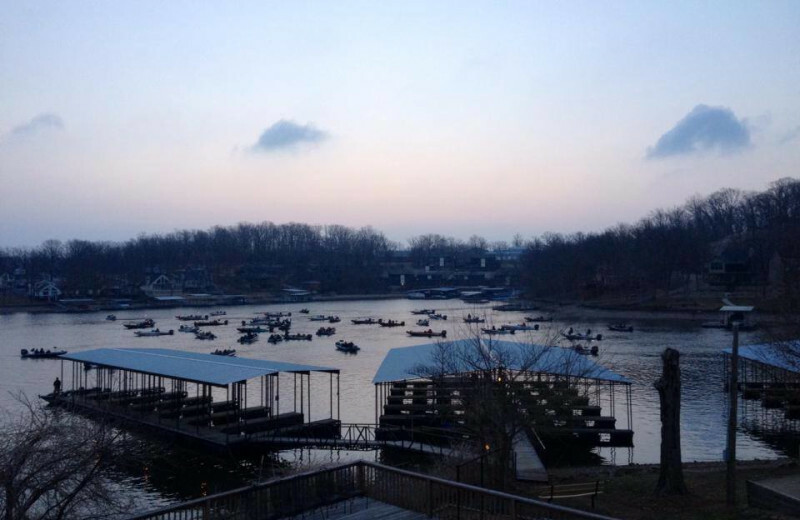 Alhonna's docks are well bedded and attract loads of bass, crappie, catfish, bluegill and more! 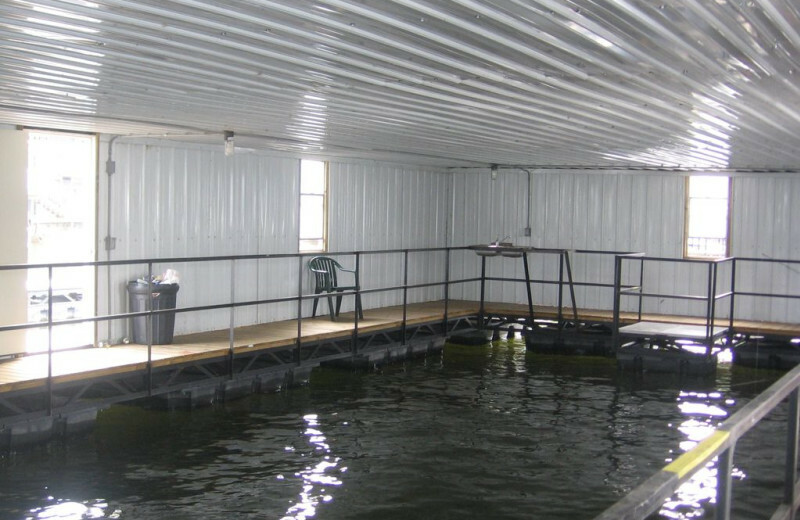 Plus, an enclosed and heated fishing dock makes for great fishing any time of year! 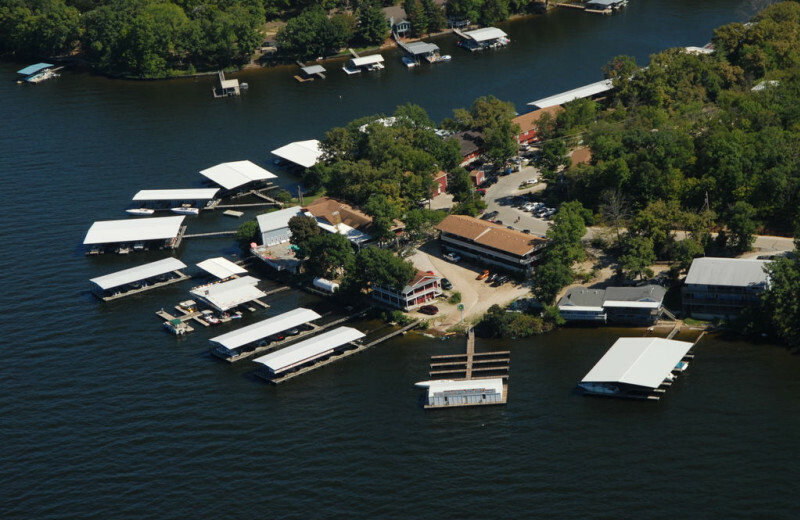 Bass boats, fishing pontoons, ski and deck boats as well as skis and inner tubes are available for rental through the marina. 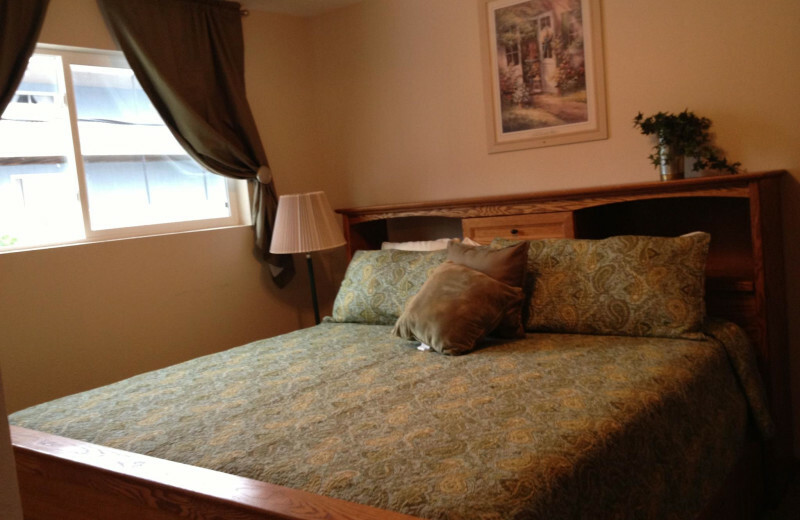 Experience an exciting romantic getaway at the Lake of the Ozarks! 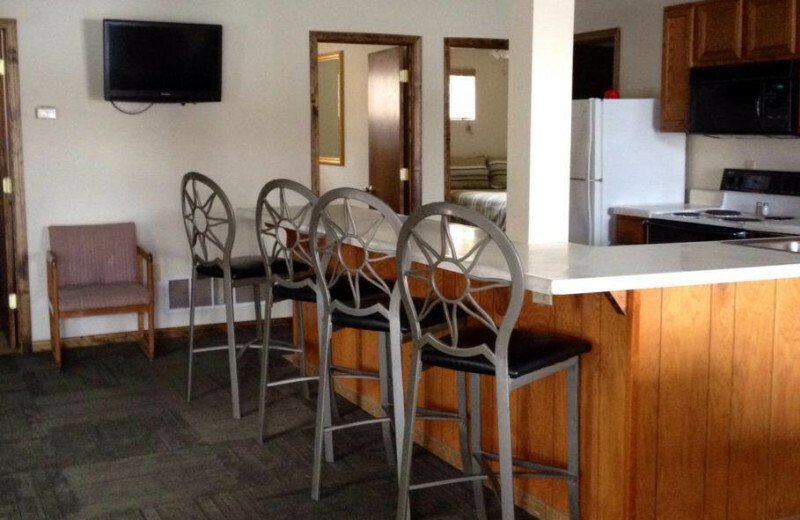 Alhonna offers private cabins with fireplaces that put you just steps away from all the fun. Enjoy a relaxing hot tub soak, a delicious dinner at Bobber's Restaurant, or simply enjoy the lake from your deck with your special someone! 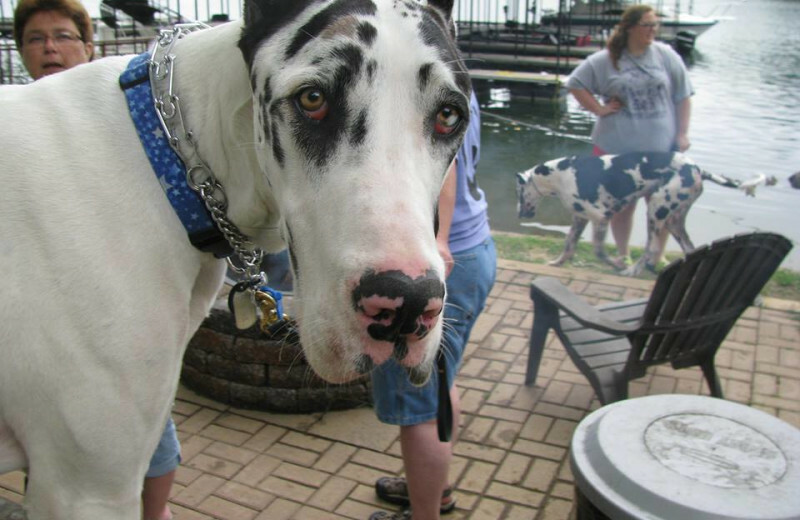 Alhonna Resort does offer pet-friendly accommodations for those who prefer to travel with their four-legged companion. Up to two pets are allowed per unit, so don't worry about choosing one pet over another! 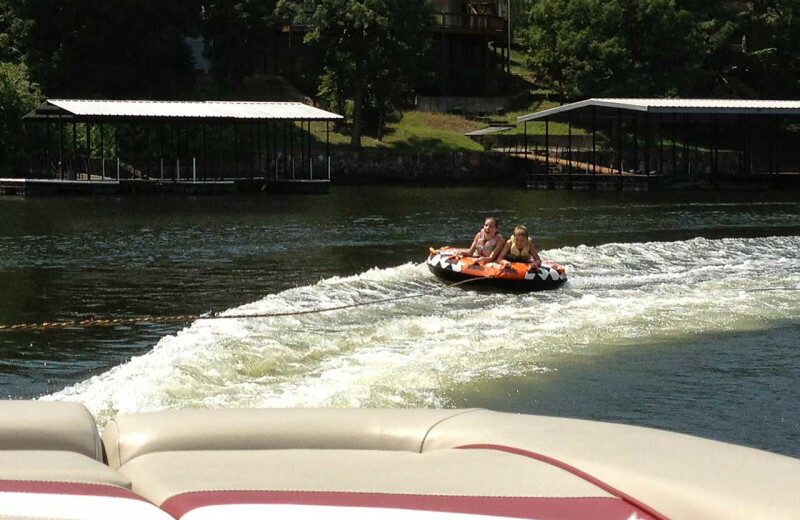 Make sure you bring the entire family on your next vacation and enjoy a great Lake of the Ozarks getaway together! 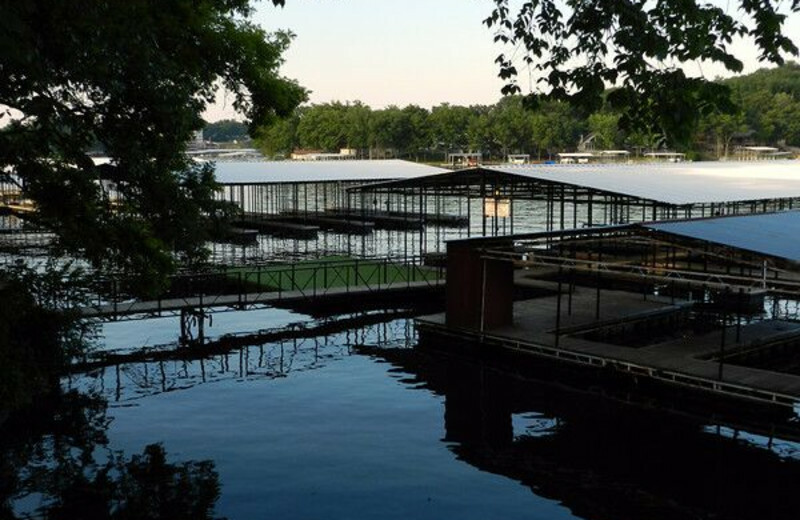 Alhonna Resort is located at the eight-mile marker on beautiful Lake of the Ozarks, making it perfect for your dream lake getaway! 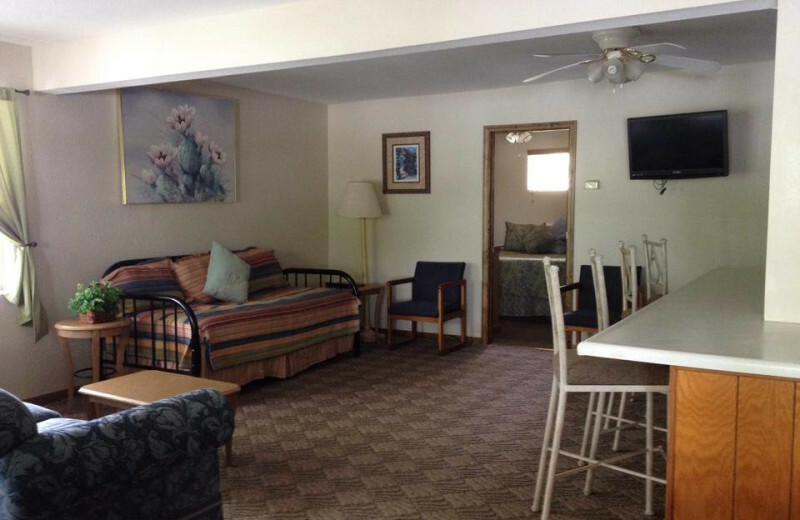 Stay in a cozy lakefront cabin or condo and enjoy endless fun on the water. 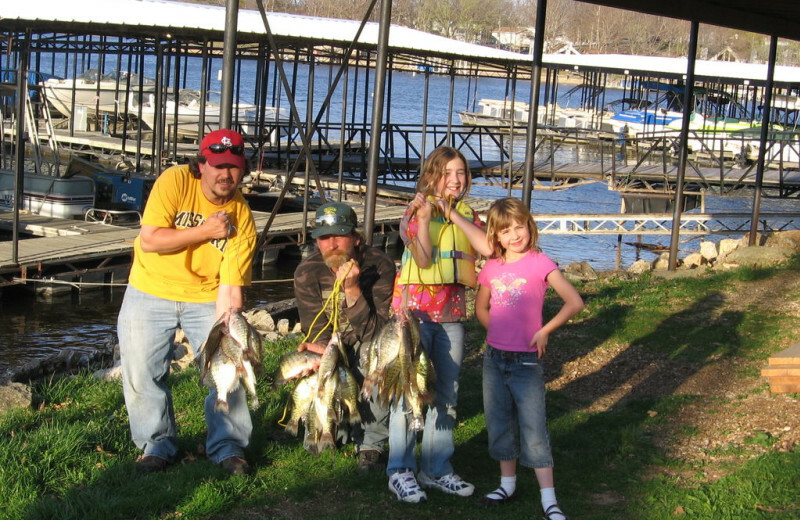 Whether you spend a day casting your line for fish, or waterskiing across the lake, you're sure to have an unforgettable time! 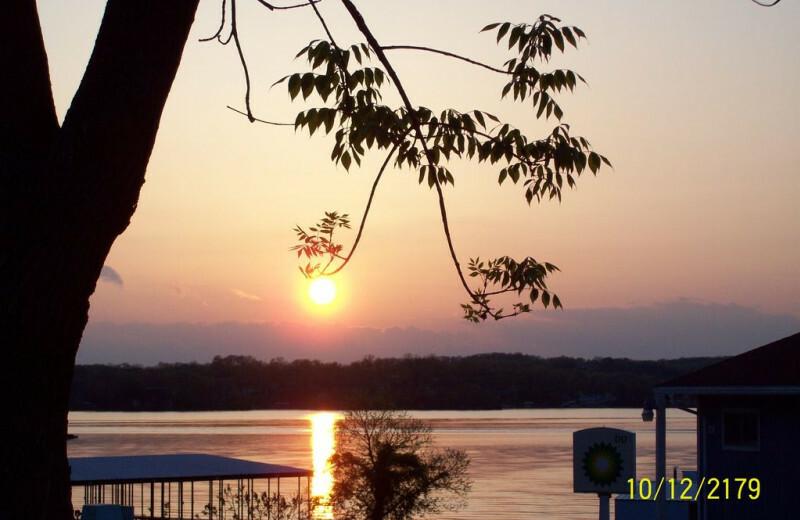 Head to the beautiful Ozark area for your honeymoon! Stay at Alhonna Resort and enjoy private cabins with fireplaces that put you just steps away from all the fun. 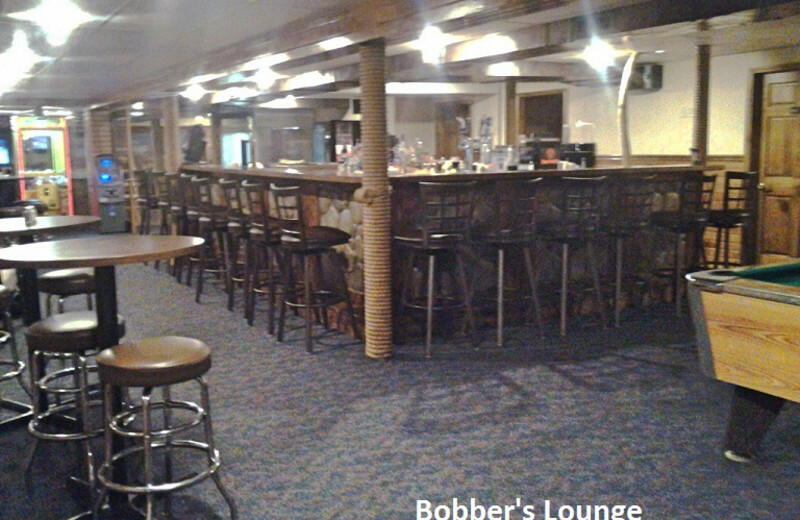 Enjoy a relaxing hot tub soak, a delicious dinner at Bobber's Restaurant, or simply enjoy the lake from your deck with your spouse! Start your happily ever after today. 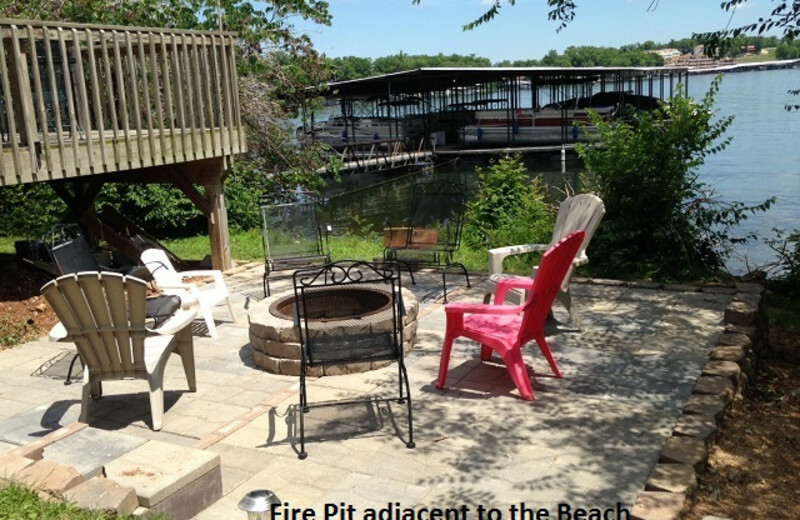 Choose from one, three, and four bedroom private cottages with beautiful lakefront locations! 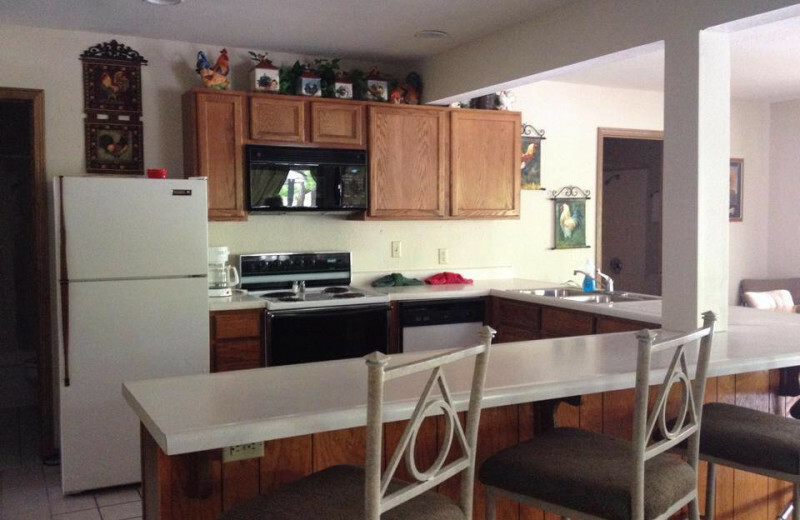 Each offers a little extra privacy and features a wood-burning fireplace and a full kitchen with microwave and dishwasher. 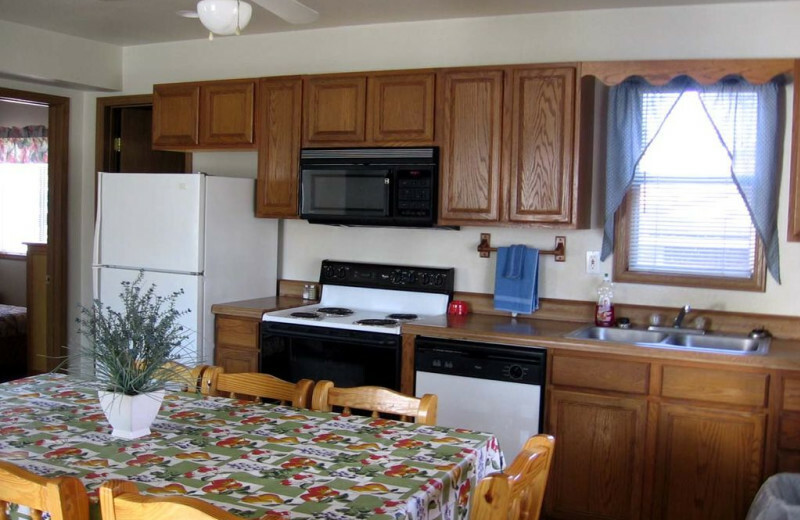 The cottage decks include a BBQ grill and picnic table for your next sweet crockpot concoction. For your next holiday vacation, head to the Ozarks region and experience a wilderness paradise! 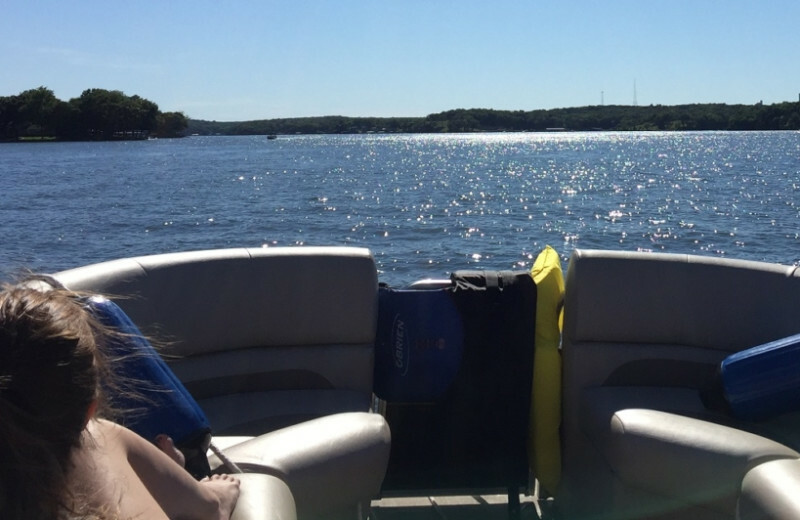 Book a lakefront cabin with your family for Memorial Day and wake up each morning by running into the Lake of the Ozarks. 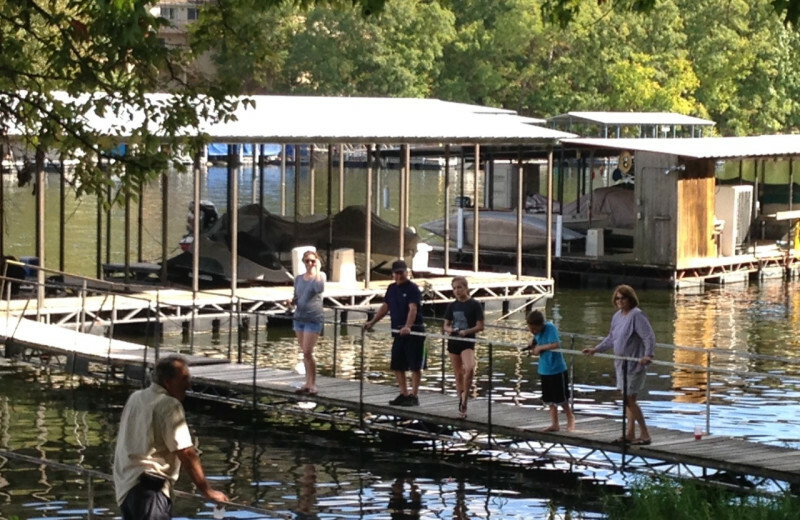 Enjoy a fishing excursion over Labor Day and for the Fourth of July, enjoy fireworks and BBQ in your own condo! 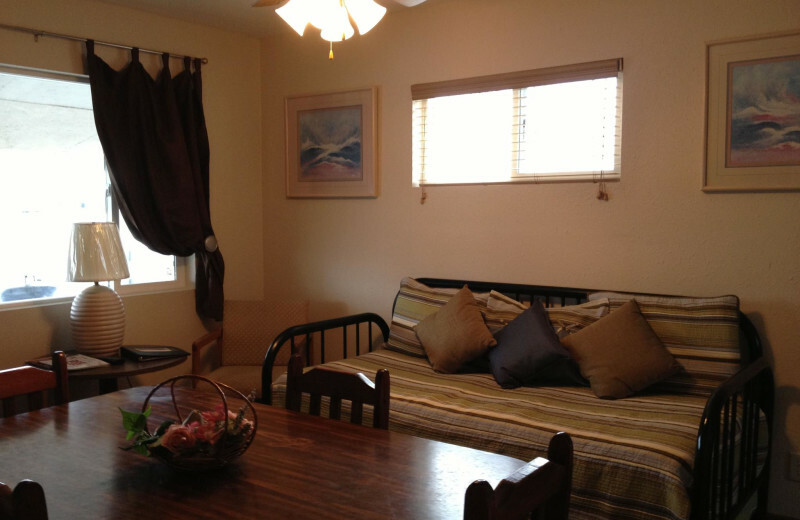 Comfort awaits you at Alhonna Resort! 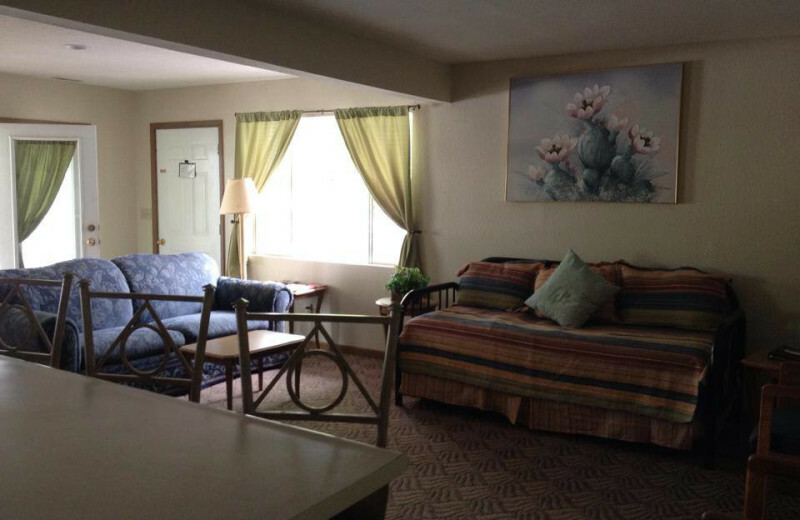 With beautiful lakefront locations and views, these two, three and four bedroom condo style units feature full kitchens and spacious decks with barbecue grills. 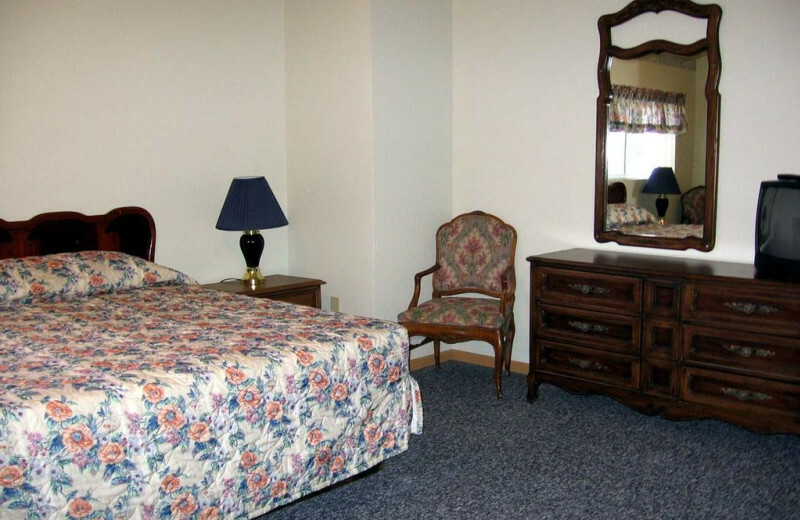 Bedding arrangements include king, queen, double, and twins to suit any family configurations. 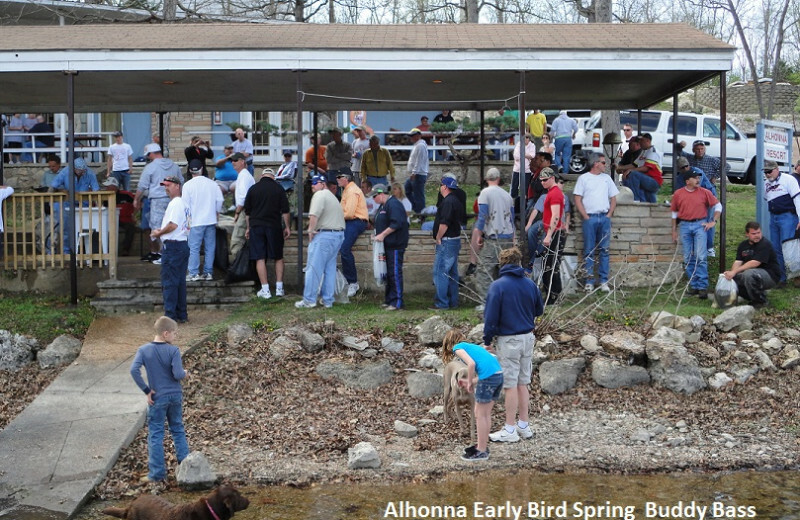 Plan your next group event at Alhonna Resort. 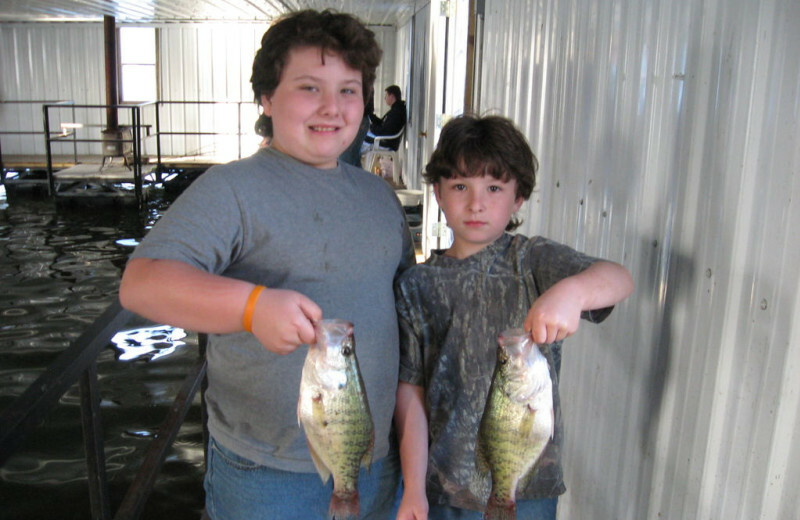 Alhonna Resort specializes in family reunions, fishing tournaments, senior trips and other groups! 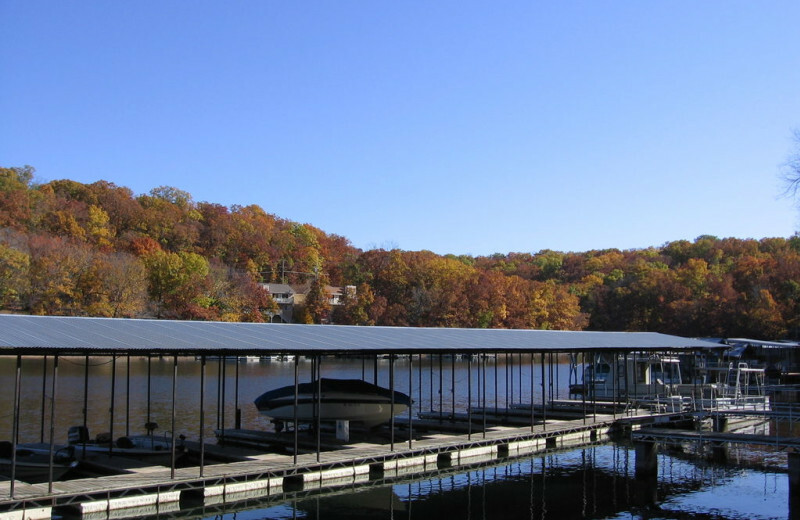 Inquire now and plan your next Lake of the Ozarks event! For more information please call +1 (866) 939 - 5715 or Send Inquiry. 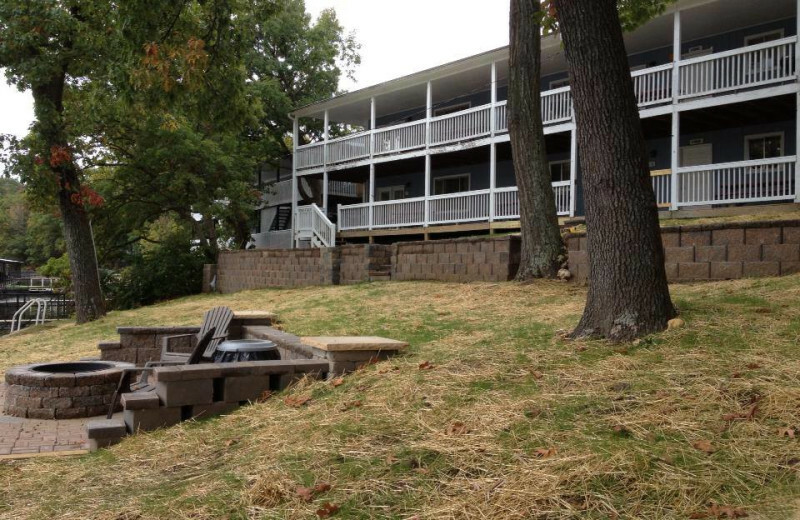 This property is ranked number 2 on Top Lake of the Ozarks Family Resorts. Read about it here.